The Culinary Arts Center, enables guests to experience culinary demonstrations in a full show kitchen, tastings, question-and-answer sessions and hands-on classes conducted by top chefs, wine experts and leading cookbook authors. “The Culinary Arts Center is at the core of Holland America Line’s enrichment program and each year we bring on board the most talented and entertaining culinary experts in their field,” said Richard Meadows, Holland America Line’s executive vice president of marketing, sales and guest programs. 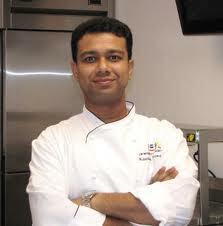 Kaushik Chowdhury, executive pastry chef at the JW Marriott Desert Ridge Resort and Spa in Phoenix, Ariz. Chowdhury has received numerous awards including first place in the Food Network’s Sugar Showdown competition and a gold medal at the 2009 U.S. National Pastry Championship. He is scheduled to sail aboard ms Amsterdam during the 18-day Grand World Voyage segment departing April 10. Chowdhury also is scheduled to sail Oct. 9 and Oct. 27 during segments of Amsterdam’s Grand Asia and Australia Voyage. Linton Hopkins, owner and executive chef of Restaurant Eugene in Atlanta, Ga., and a multiple James Beard award nominee. He was recently nominated for a 2011 James Beard Award in the “Best Chef: Southwest” category. Hopkins is slated to sail aboard ms Eurodam’s 10-day Gems of the Baltic cruise June 14. Tony Maws, executive chef and owner of Craigie on Main in Cambridge, Mass. The contemporary French cuisine restaurant was named one of Boston’s “10 Most Influential Restaurants of the Decade” by The Boston Globe, and Maws himself was named one of America’s “10 Best New Chefs” by Food & Wine magazine. In 2011, he won the prestigious James Beard Foundation Award for “Best Chef: Northeast.” Chef Maws is scheduled to sail aboard ms Ryndam’s Norwegian Fjords cruise May 6. Serena Palumba, teaching chef, television personality and recent finalist from season six of the Food Network’s hit show “The Next Food Network Star.” Palumba, created an instant-hit series of instructional videos on YouTube called “Cooking in Manhattan” teaching viewers to prepare meals with simple ingredients and limited equipment within the confines of a small urban kitchen. Palumba is scheduled to sail on ms Veendam’s seven-day Bermuda cruise April 29. Jonathan Sawyer, executive chef of Greenhouse Tavern, named one of the top 10 best new restaurants in the U.S. by Bon Appetit magazine and best new restaurant by Cleveland Magazine. Sawyer has appeared on the Food Network’s “Dinner: Impossible” and “Iron Chef America,” and recently honored by Food & Wine magazine as one of America’s best new chefs. He is scheduled to sail on ms Zuiderdam’s seven-day Alaska Inside Passage cruise Aug. 18. Leslie Sbrocco, wine expert, award-winning author and television personality. 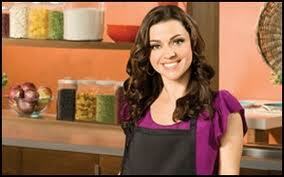 She is the host of the PBS series “Check, Please!” for which she won both the coveted James Beard Award and an Emmy Award. She has written two books, “Wine for Women: A Guide to Buying, Pairing and Sharing Wine” and “The Simple & Savvy Wine Guide.” Sbrocco is slated to sail on ms Maasdam‘s 10-day Eastern Caribbean cruise Nov. 30. 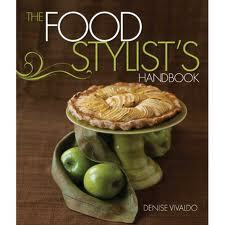 Denise Vivaldo, culinary consultant, food stylist and celebrated cookbook author. Vivaldo has catered more than 10,000 parties and has cooked for notable guests such as U.S. Presidents George H.W. Bush and Ronald Reagan, Prince Charles and Bette Midler. Vivaldo has styled food for nationally syndicated television shows including The Ellen DeGeneres Show, The Tonight Show with Jay Leno and Inside Dish with Rachel Ray. Vivaldo is scheduled to sail on ms Westerdam’s seven-day Alaskan Explorer cruise July 21. Zac Young, executive pastry chef of Flex Mussels Restaurant in New York City. He trained in France with renowned chefs Philippe Givre at Valrhona and Philippe Parc at Chocolate Michel Cluizel, where he developed his signature style of using French techniques and bold flavors for a creative spin on classic American desserts. Young finished in the final four of Bravo’s first season of “Top Chef: Just Desserts” and can be seen on The Cooking Channel’s new series “Unique Sweets.” Young is scheduled to sail on ms Volendam’s 23-day South Pacific cruise April 10. Hugh Acheson, judge on “Top Chef” season nine, culinary author, executive chef and partner of Five & Ten and The National in Athens, Ga., sails on ms Veendam’s May 27 Bermuda cruise. Timon Balloo, executive chef of Sugarcane Raw Bar Grill in Miami, Fla., sails on ms Noordam’s Riviera Romance cruise Oct. 15. Paul Carter, executive chef of The Phoenician in Phoenix, Ariz., sails on ms Zuiderdam Aug. 18 in Alaska. Jeffrey Elliot, director of culinary relations for Zwilling JA Henckels, Demeyere, and Staub, knife skills expert and executive chef of Zwilling JA Henckels – USA, sails on ms Eurodam Dec. 8 in the eastern Caribbean. Jason Franey, executive chef of Canlis Restaurant in Seattle, Wash., sails aboard ms Oosterdam’s New Zealand Discovery cruise Oct. 24. George Geary, culinary journalist, author and educator, sails on ms Rotterdam Aug. 4 in the Baltic. Matt Gennuso, executive chef and owner of Chez Pascal, a French-American bistro in Providence, R.I., sails on ms Amsterdam June 1 in Alaska. Paulette Mitchell, culinary instructor and author of 11 cookbooks, sails on a segment of Amsterdam’s Grand World Voyage departing March 21. Patricio Sandoval, executive chef at Mercadito Chicago, sails aboard Rotterdam’s 14-day Spring Panama Canal cruise departing April 3. Kevin Sbraga, executive chef and owner of Sbraga restaurant in Philadelphia, Pa., and Bravo’s “Top Chef” season seven winner, sails on Noordam July 17 in the Mediterranean. Angelo Sosa, executive chef and co-owner of Social Eatz, an “American-Asian” restaurant and bar in New York City and Bravo’s “Top Chef” season seven finalist, sails on Prinsendam Aug. 8 in Norway and the British Isles. Bruce Weinstein and Mark Scarbrough, authors of the “Ultimate” cookbook series, sail on Amsterdam Nov. 17 for a segment of the Grand Asia & Australia Voyage. Holland America Line’s industry trend-setting Culinary Arts Centers are featured on each of the line’s 15 ships. A “world class show kitchen at sea,” the Culinary Arts Centers presented by Food & Wine magazine resembles the elaborate show kitchens used by celebrity chefs on television cooking programs. In partnership with Food & Wine magazine, Holland America Line has schedule approximately 60 celebrated chefs and wine experts to sail in 2012. Holland America Line also offers a youth Culinary Arts Center activity program on select sailings to teach kids and teens how to cook. 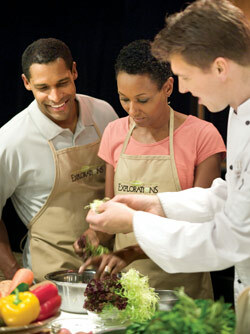 The program incorporates dishes from breakfast, lunch, dinner and snacks in complimentary 45-minute-long classes.